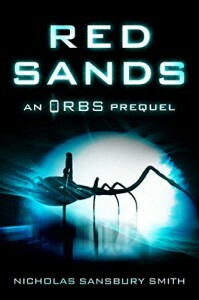 “Red Sands: An Orbs Prequel” by Nicholas Sansbury Smith is another prequel to his excellent ORBS series. Like the rest of the series it is well written with great suspense and a gripping dramatic curve. After “White Sands” brothers Jeff and David have some more nail biting adventures, this time involving alien spiders/ the organics. Additional episodes to a series are a hit and miss for me but this prequel adds nicely to the characterisation and the plot. If you read and enjoyed any of the ORBS books don’t miss out on this little gem.